Samui First House Hotel is especialy designed for guests who are looking for a quiet place and clean hotel that features all the modern amenities a discerning guest will expect. It is suitable for all kind of travellers and especially family friendly. The rooms are designed and decorated with loving attention to comfort and convenience. Deluxe, Grand Deluxe and Family Rooms have spacious balconies with pool view. 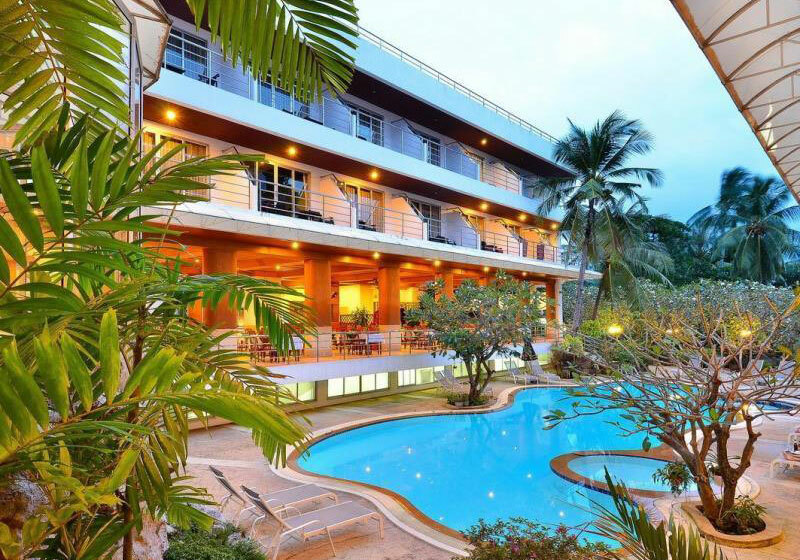 Short Description: Samui First House Hotel is conveniently located between Chaweng Beach and Chaweng Noi Beach, two of the most beautiful beaches on Koh Samui. And in addition to the beauty of beach and nature, Samui First House also grants easy access to the popular Chaweng shopping center and entertainment area which is just about 1.5 km away.